December | 2014 | The Fantastic Flame On! To Save You, Why Must I Floss? 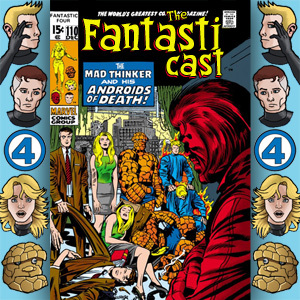 Hello, and welcome to episode 112 of The Fantasticast. Each week, Steve Lacey (for it is he) and Andy Leyland guide you through every issue, guest-appearance and cameo of The Fantastic Four. 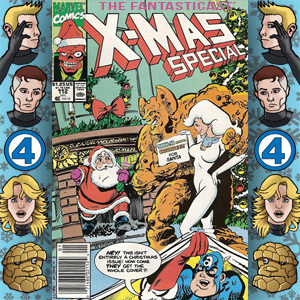 It’s Christmas time at the Fantasticast, and Steve (for it is he) and Andy are continuing their annual tradition of pulling an issue of a Fantastic Four related title from outside of the reading order and covering it. Due to time pressures, Steve (for it is he) abstained from choosing an issue, instead throwing himself on the selection of Andy. And what a selection it is! Steve (for it is he) is not prepared for the Onslaught of one of the most unique project of the 1990s. The X-Cution alone is worthy of comment, there’s Zero Tolerance for the insanity contained within this book. For lo, there shall be an issue of What The–?!. Steve (for it is he) can’t wait for the next episode of the show where the Heroes Return. And the terrible crossover-based puns finish. Hello, and welcome to episode 111 of The Fantasticast. Each week, Steve Lacey and Andy Leyland guide you through every issue, guest-appearance and cameo of The Fantastic Four. 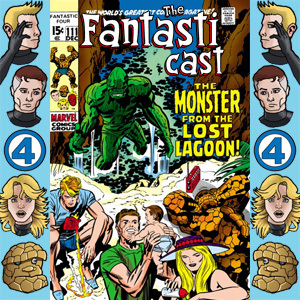 It’s the final episode of 2014, and taking advantage of the wintery season, Steve and Andy are taking a look at Fantastic Four #97, featuring a summer holiday, a trip to a marine mammal park, and a magical, size-changing submarine. Sensible plotting has been put on hold, as the motivations (and, indeed, the vocal properties) of the antagonist seem to change from page to page. As an extra seasonal treat, we’re also taking a look at Silver Surfer #15, featuring a pitched battle between the Surfer and the Human Torch. Just like the Surfer’s own series, we also get a bit philosophical, looking at the flaws and failings of Stan Lee’s most personal superhero series.